Happy Totally Normal Day In December, everybody! It's our HOLIDAY EXTRAVAGOON, and instead of revisiting the animated A Charlie Brown Christmas like we originally intended, we saw a stage adaptation of the same, at the Taproot Theater in Seattle. 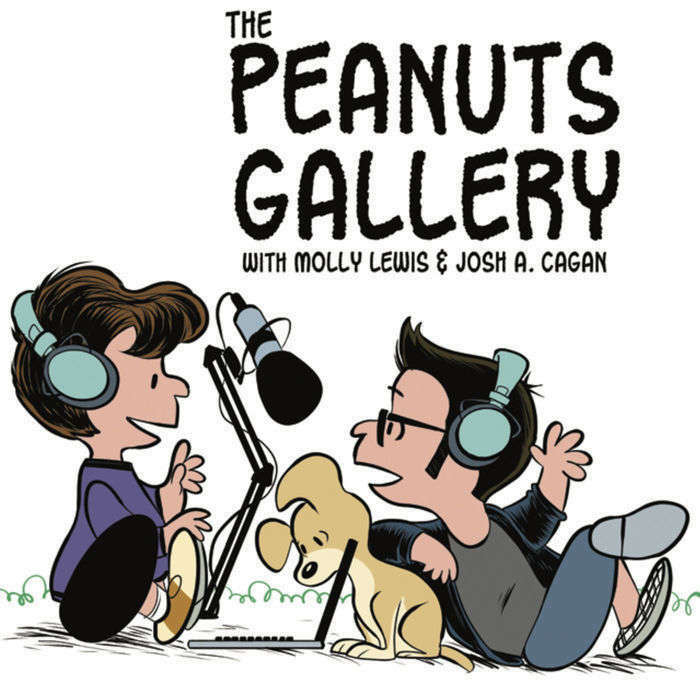 In our first segment Nicole Dieker joins us for a roundtable about the merits of adapting a Peanuts animated special to live theater, and what a difference it makes to have real actors instead of children imitating Bill Melendez one word at a time. In our second segment we interview Andy Cownden, BC's go-to Charlie Brown, about what it's like to assume the role of Charlie Brown, and to be faithful to the original text while also finding room to make the role your own. Charlie Brown's emotional arc is not unlike the stripe on his shirt. The animated A Charlie Brown Christmas is available on streaming, DVD, network television... You could holler "Isn't there anyone who has a copy of A Charlie Brown Christmas?!" out a car window and someone would be like "YES." To find a production of the A Charlie Brown Christmas stage adaptation that we discuss in this episode, Google "[your city name] Eric Schaeffer Charlie Brown". Odds are there's a production very near you! Our first guest Nicole Dieker is a freelance writer and a senior editor at The Billfold. She can be found at @hellothefuture or NicoleDieker.com. She is our first return guest, and first joined us to discuss It Was A Short Summer, CB. Our second guest Andy Cownden is a talented actor and writer, who is currently playing Charlie Brown in A Charlie Brown Christmas at the Carousel Theater in Granville Island. Questions? Comments? Tweet them to @PeanutsPodcast. Josh and Molly wrote a holiday musical a couple years ago, inspired in no small part by the Peanuts holiday specials. It's available to stream or purchase on Bandcamp. Thank you for listening to & tweeting at this pair of blockheads! We really appreciate it.